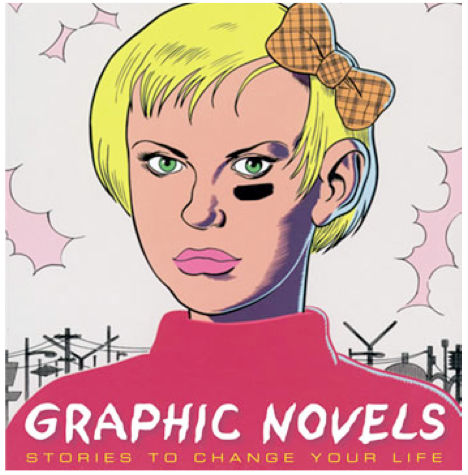 Creating Graphic Novels – CONNECT! Earlier in the year our grade 8 Humanities students completed a project where they retold a chosen novel in a graphic novel form. Our two grade 8 Humanities teachers, Dave Scott and Jaime Groeller, recently compiled all the materials they used for this project into an “integrated inquiry resource.” If you have an iPad, iPod Touch or iPhone, you can click here to get the ePub document that contains all the steps of the project, with videos and rubrics. Below is an brief overview of the project. You can access an ePub explanation of this project here. You can access an PDF explanation of this project here. All the steps and handouts for this project can be found here. In this inquiry project students are asked to take on the role of a writer who has been commissioned to take a short story/novella and put it into graphic comic form. As part of this process, they must take on a perspective different from the one the novel is in (first person, limited omniscient, omniscient) and then choose ten central moments in the narrative structure of the story to represent within their graphic novel. Students will read their short story or novella carefully for details of important literary components and through enhancing key literary elements of their novel with visuals, create a graphic novel. Students can choose to work individually or in partners for this project. We recommend that students choose only short stories or novellas for this project, to keep the process manageable. Rather than having to create a whole story from scratch, choosing form a list, students are asked to adapt a short story or novella into graphic novel format. To do this they must graphically recreate the central moments within the narrative structure of their story. As a graphic novel is highly visual and minimal in text, they must be very concise in their story telling. Thus, they must distill their novel down to the central moments needed to re-tell the story in a way that keeps the reader’s interest, yet does justice to the narrative. Each of these mediums have their strengths and weaknesses; the following video will provide you with the student’s perspective on the possibilities and limitations of each medium. Aside from creating a fantastic unit, I am impressed with the way you presented your plan. Next Next post: Inquiry Book Study: The Final Week!